By age sixteen, Rhine Ellery has four years left to live. She can thank modern science for this genetic time bomb. A botched effort to create a perfect race has left all males with a lifespan of 25 years, and females with a lifespan of 20 years. Geneticists are seeking a miracle antidote to restore the human race, desperate orphans crowd the population, crime and poverty have skyrocketed, and young girls are being kidnapped and sold as polygamous brides to bear more children. When Rhine is kidnapped and sold as a bride, she vows to do all she can to escape. Her husband, Linden, is hopelessly in love with her, and Rhine can't bring herself to hate him as much as she'd like to. He opens her to a magical world of wealth and illusion she never thought existed, and it almost makes it possible to ignore the clock ticking away her short life. But Rhine quickly learns that not everything in her new husband's strange world is what it seems. Her father-in-law, an eccentric doctor bent on finding the antidote, is hoarding corpses in the basement. Her fellow sister wives are to be trusted one day and feared the next, and Rhine is desperate to communicate to her twin brother that she is safe and alive. Will Rhine be able to escape--before her time runs out? Together with one of Linden's servants, Gabriel, Rhine attempts to escape just before her seventeenth birthday. But in a world that continues to spiral into anarchy, is there any hope for freedom? The beginning of The Chemical Gardens series is a whirlwind of dealing with scientific failure. 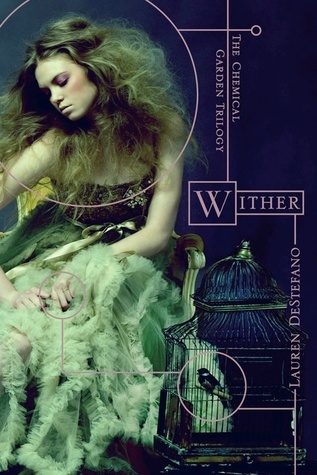 Wither, by Lauren DeStefano, shares the story of a girl who only wants to be free for the last four years of her life. 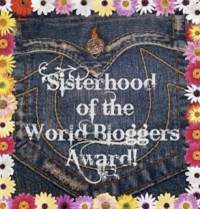 Even if that means hiding, worrying, and constantly watching her back. Being captured and sold as a willing bride, Rhine promises that the illusions of luxury won't eclipse her memories of freedom. Rhine is a smart 16 year old girl who knows how to act in order to get what she wants. She believes that if she can make her husband fall in love with her, then she'll be trusted more. So when the time comes to make her escape, it'll be easier to slip out. But she doesn't factor making friends into her escape plan. Rhine is an orphan whose parents were killed in a bomb explosion. She knows life is scary, hard, and often leaves bruises. She's down to earth with a strong will and has the advantage of being able to understand others. Readers will enjoy Rhine's hope in a desolate situation and connect with her through her desire to be with her family through the end. The relationships she forms with the other wives, the attendants, and her husband will reveal her as a sweet, caring, yet wary character. The story begins after Rhine has already been kidnapped. She, along with two other girls, is picked to be the bride of a House Governor while the ones not chosen are killed. Rhine wakes up in a mansion and is forced to prepare for her wedding. She believes that if she can convince Linden to love her and trust her as his first wife then she'll be able to escape. But she begins to fall for her own lies as she comes to care about those she's trapped with. Will Rhine be able to keep her focus on her escape plan or will she be taken in by the illusions and holograms that make her prison beautiful? I absolutely loved the writing style of this book. It's written in first person which immediately puts readers into the role of main character. The emotions that Rhine experiences are easily related to. The illusions that test Rhine, I found myself falling for, wondering how great it would be to experience that. Wither is a struggle between freedom and the false feeling of being free that will enchant readers.